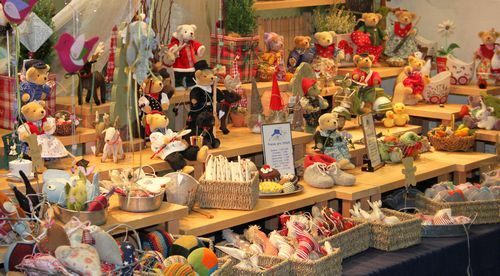 There are not so many reasons for looking forward to end of the summer, but there is one very important reason and that is the The Euro Teddy Bear Show. 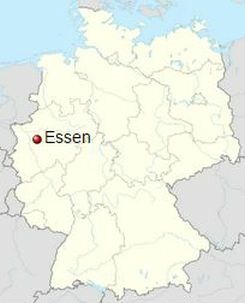 The event was celebrating the 23rd Annual show held on October 9-10, 2016 in Essen, Germany. 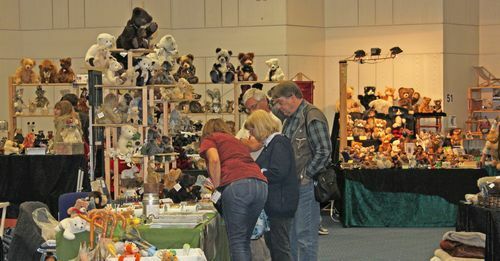 140 exhibitors from Germany, the Netherlands, Belgium, USA, Great Britain, Australia, Russia, Japan and Ukraine presented their newest creations, pattern, kits and bear making supplies. 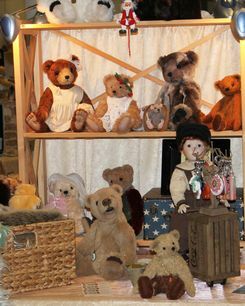 Often you could hear, "when I was a young child" or the collectors stood looking lovingly at the way the bears had been arranged by the artists. 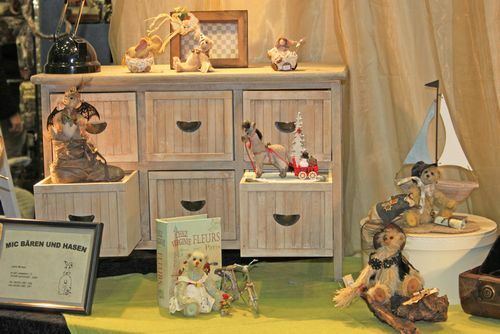 It is no wonder that at the sight of countless antique bears and nostalgic plush toys, many visitors were awakened by childhood memories. It was a good thing that there were some artists that specialised in antique bear art. Another highlight were the nature bears which were reworked according to nature. Moreover the artists presented not only cuddly bears but also cats, mice, elephants, dogs, donkeys with carriages, bats or even Dracula figures. Colourful bear pictures on wood and bear drawings were part of the exhibition. Even well-known manufacturers such as the Kösener Spielzeugmanufaktur or Hermann Spielwaren exhibited with unusual creations, which is up-to-date today. Professional: the huge range of artist accessories and supplies were available to those who wanted to buy and sew over the long winter months. The Euro teddy offered everything for the artist. Mohair in all imaginable colors, unusual paw materials, original kits, individual clothing, high-quality glass eyes, selected yarns and a fantastic selection of decoration materials. 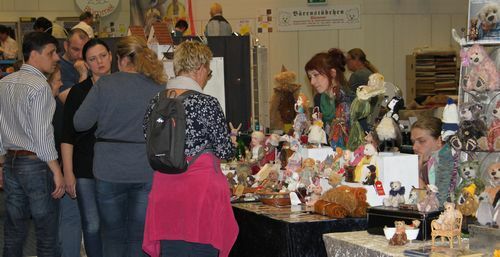 At the stand of the Netzbächer-Bears the visitors could try needle-felting. In this workshop, cuddly and beautiful sweets for Halloween were created using the needle felt technology. 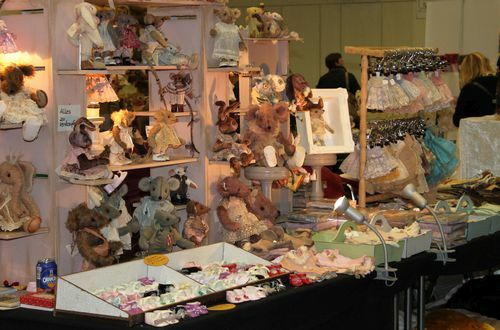 Marianne Hofstra of BeauTBears put her workshop focus on needle felting and made teddy bears with the participants at her stand. 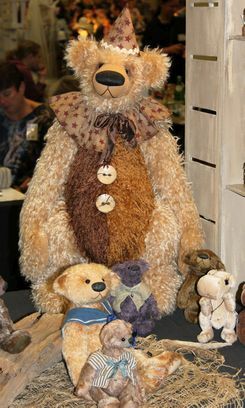 And there was a stand where hard work was being done: for many visitors looked over the shoulder of the Teddy Beaer Doctor, when he restored old bears to new splendor, stuffed paws, sewed eyes, or put their heads in the right position. "The jury was incredibly impressed by the artistic level of the participants. It was not easy to find a winner in all the high-profile submissions“ said organizer, Christine Spies shortly before the awards presentation ceremony. 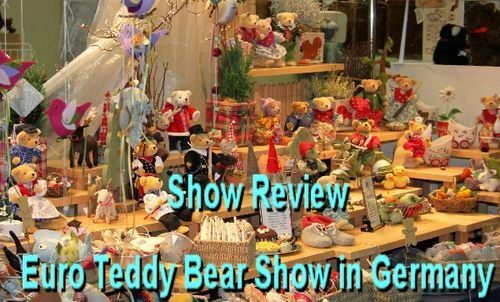 The team of the German Bear magazine "BärReport“ was at the show and put together some impressions which you can see on the Website of the Euro Teddy. You should hold this date for visiting the next Euro Teddy either as an artist or a visitor.